The global eCommerce market potential is growing multi-fold, acting as an electronic steer in the industry, providing e-business solutions that deal with the online trading of products/services through the electronic media. Looking at proven statistics, the eCommerce market is getting bigger and there is a sure shot increase foreseen in the eCommerce sales worldwide. SPEC INDIA, an eCommerce development and web development company in India, offers widespread eCommerce application development services to our clients across the globe, keeping at par with the most modern technologies. From eCommerce to mCommerce (Mobile Commerce), there has been a revolutionary transition observed world over. With mobile being the latest mantra, there is an increasing fusion of eCommerce activities with mobility driven devices – mCommerce – the latest buzz word today. We possess rich experience in implementing eCommerce and mCommerce applications, in diverse domains. Shopping Cart Application Development Workflow – Foolproof & Well-defined. Why SPEC INDIA as 'eCommerce Development Agency'? An ISO 9001:2015 certified custom software service provider establishment with thirty years of dependable and robust services. Offering multi technology, multi area, multi-location implementations with enriched experience in shopping cart development and proficiency in custom eCommerce development. Ensuring a striking balance between Cost, Scope and Time for every endeavor, keeping quality at the prime front. Our existence in multiple countries across the globe spanning America, Europe, Australia, Africa, Middle East Asia, Asia and more, explains it all. 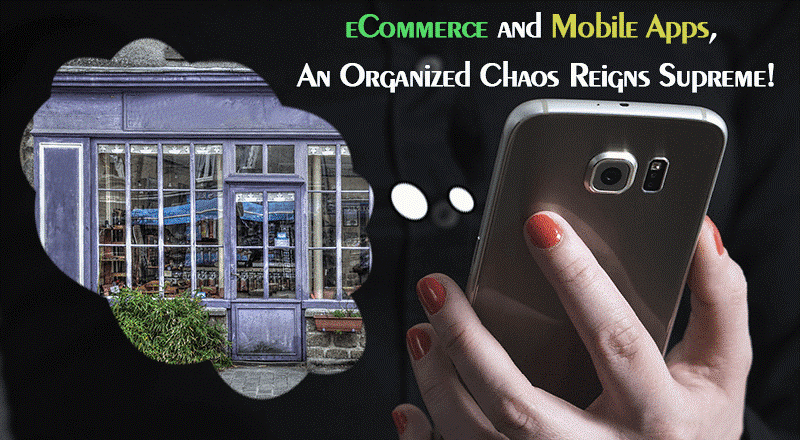 eCommerce and Mobile Apps, An Organized Chaos Reigns Supreme!